Before there were mammals on land, there were dinosaurs. And before there were fish in the sea, there were cephalopods - the ancestors of modern squid and Earth's first truly substantial animals. Cephalopods became the first creatures to rise from the seafloor, essentially inventing the act of swimming. With dozens of tentacles and formidable shells, they presided over an undersea empire for millions of years. But when fish evolved jaws, the ocean's former top predator became its most delicious snack. Cephalopods had to step up their game. The summer of 1916 was brutally hot, driving thousands to the Jersey Shore to indulge in the newfangled activity of swimming in the ocean, and a good swimmer could strut his stuff in front of an appreciative audience. But happiness turned to horror as a killer invaded this idyllic scene - with never a warning and showing no mercy to its victims. 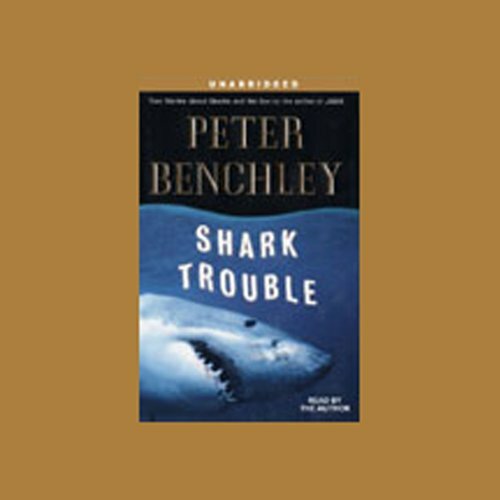 Master storyteller Peter Benchley combines high adventure with practical information in Shark Trouble, a book that is at once a thriller and a valuable guide to being safe in, on, under, and around the sea. The best-selling author of Jaws, The Deep, and other works draws on more than three decades of experience to share information about sharks and other marine animals. Benchley describes the many types of sharks (including the ones that pose a genuine threat to man), what is and isn’t known about shark behavior, the odds against an attack and how to reduce them even further - all reinforced with the lessons he has learned, the mistakes he has made, and the personal perils he has encountered while producing television documentaries, best-selling novels, and articles about the sea and its inhabitants. He tells how to swim safely in the ocean, how to read the tides and currents, what behavior to avoid, and how to survive when danger suddenly strikes. He discusses how to tell children about sharks and the sea and how to develop, in young and old alike, a healthy respect for the ocean. As Benchley says, “The ocean is the only alien and potentially hostile environment on the planet into which we tend to venture without thinking about the animals that live there, how they behave, how they support themselves, and how they perceive us. I know of no one who would set off into the jungles of Malaysia armed only with a bathing suit, a tube of suntan cream, and a book, and yet that’s precisely how we approach the oceans.” No longer. Not after you’ve listened to Shark Trouble. ©2002 Peter Benchley (P)2002 Random House Inc., Random House Audio, a Division of Random House Inc. I read this book as I was preparing to go scuba diving with sharks in Honduras. It was a fascinating read, dispelling many of the false ideas that people have about sharks. I began to appreciate these majestic animals for their beauty, not the stereotype of killer monsters. When I did dive with sharks (no cage)they were around on all sides, 3-4 meters long and I was transfixed by their beauty. Thank you Peter for setting the record straight. Although not being a novel, this book is more spellbinding than most of Peter Benchley's later work. 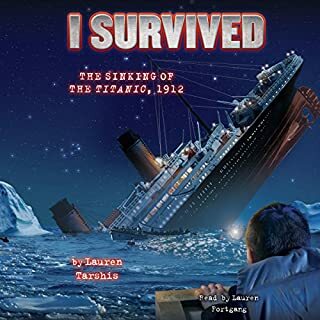 Besides a great narration of the "birth of Jaws", this book also provides a very personal glimpse into Benchley's life before and after the watershed event that was Jaws. Following the fame of the movie, we are afforded a glimpse into how Benchley turned the Jaws concept into a life pursuit in and around the ocean. We follow a young Benchley uncertain about the underwater world he made famous into a mature man that has made the ocean his domain. Shark wrestling hasn't exactly been my life, but Benchley shares a dive in South Florida where he had a Barracuda experience indistinguishable from my own - except Benchley has the power of the master story teller to capture the thoughts and emotions I had in my similar circumstance in a way that, for me, was more than worth the price of admission. 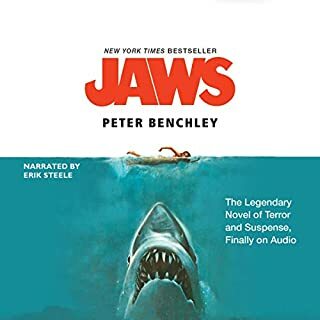 By the way, Peter Benchley is narrating his own work and he is doing an excellent job. I am normally not a fan of authors reading their own stuff (Stephen King comes to mind), but Benchley is a natural. He has a pleasant voice and he does not "overdo" his thing. The book concludes with a section on the "shark summer" of 2001 where Benchley approaches the media hysteria with a journalistic approach, supporting his thoughts and opinions in a competent manner. Try the sample, you might like this book! Benchley presents a reasoned discussion of sharks and other ocean predators. A must-read for folks who swim in the ocean, as well as snow-in mid-westerners. This was an extremely enjoyable listen about a fascinating topic. 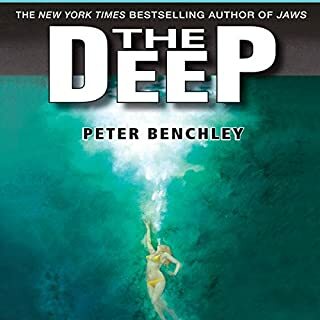 The author does an excellent job of narrating his own story and adds a special element of emotion as he describes his up-close and personal accounts with dangerous beasts of the deep. 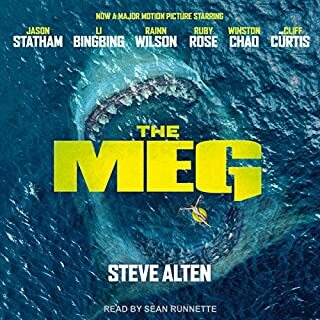 At times I felt the book swayed towards self-interest but most of this short listen was filled with suspense-filled tales of close encounters of the wet kind. I really got the impression that Peter Benchley wrote this book to repair the damage that his book JAWS did to the image of sharks. Now, of course, the book wasn't nearly so bad as the film (I've read the book, and seen the film) at portraying sharks as fishy devils. This endeavour is setting the record straight. He is telling how he came to write the JAWS novel and then finally actually meeting the animal that was so affected by both his book and the Hollywood production of the same. Humans ARE the problem, not the sharks. Humans have always been the problem, and he makes no bones about saying so and illustrating the fact with many observations from many different sources. Very informative and eye-opening - worth the time and thought. Not bad! Pretty interesting stuff!! Short and Sweet.... And really Scary!!! Famous author of Jaws tells us what he knows about sharks, and what we should know about the ocean. It's quite edifying. I was surprised how much experience he had diving. Although he tries to make the ocean safer by imparting very important safety tips, I came away with sheer horror that I ever swam in the sea! 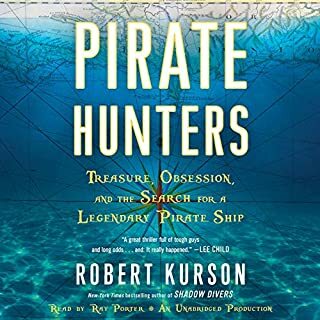 After listening to this book, I realized how scary and wild the ocean really is. Seriously, this book is really important for anyone who loves ocean, especially for anyone with children!! I have always loved the sea and am a strong swimmer, but I was ignorant to much of what the author explains in the book. Human instinct is not enough when swimming the oceans. When I selected this book I was expecting the content to be about acctual shark trouble. Only about half the book was about sharks. 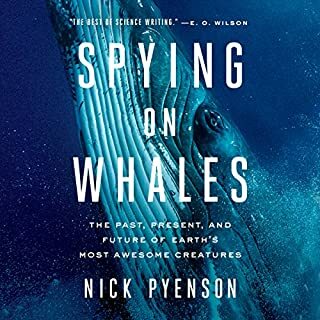 The author goes on and on about how stupid humans are (polluting the oceans, provocing animals into attacking them, and ((gasp, how dare they)) thinking they are special) and how grand and wonderous is the ocean and all of its beautiful, life-giving creatures. Look, I know that shark attacks are acctually quite rare, but I was looking for some good stories about real life shark attacks, not a lesson on the dangers of over-fishing. This book is informative, but it is not about sharks. It is about the ocean in general. It should be called "Humans are bad (except for me, the author) and the ocean is good."